Dear Spring, welcome. After the past few days in New York City, it might finally be safe to say spring has arrived. Actually, it arrived a month ago. 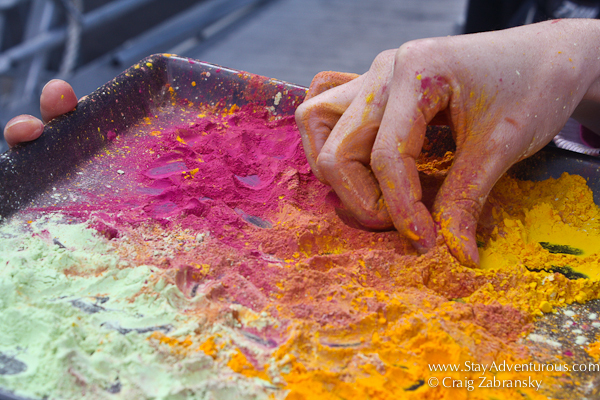 No, I am not talking about the spring (vernal) equinox, but rather the Hindu Holi Festival. 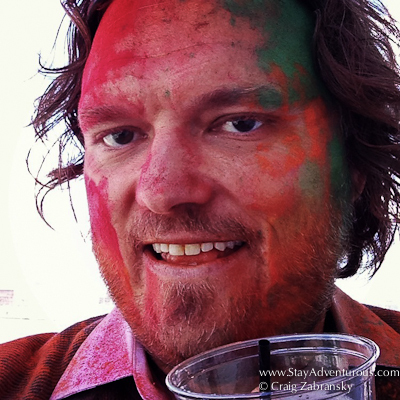 I knew next to nothing about Holi (although my knowledge today remains far from expert), I have to say that having experienced the festival – I am now a fan, a BIG fan. My few hours celebrating aboard the Hornblower’s boat, Respect, while cruising around the island of Manhattan in the midst of the Holi festival has made me a fan. In the afternoon hours on March 30th, I tossed colorful powders on strangers, picked up a few new dance moves and enjoyed some delicious cuisine, all with one of the world’s best skylines as my backdrop. Yes, I am a fan and I am sure you’d be one too. 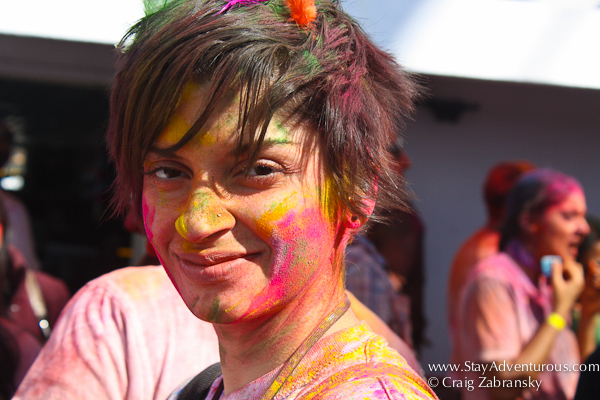 Holi (as explained to me) is a celebration of color, a celebration of spring. With Hindu roots this celebration now stretches larger and is celebrated far beyond the religion and its original geography. Today, it can be found across the world. Unlike the official first day of spring, the festival moves with the moon. It is tied to the lunar calendar and the date changes each year; this past year (2013) it was celebrated Saturday, March 30th. 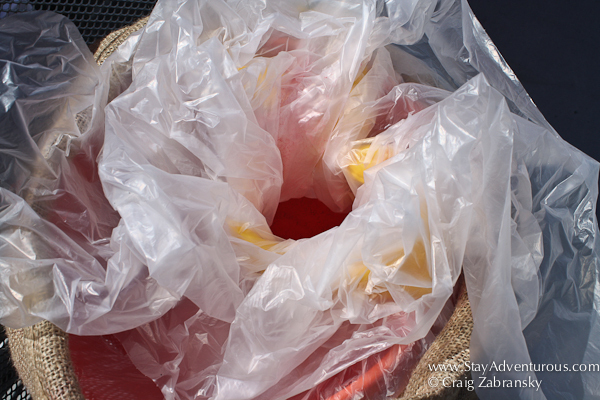 I boarded The Hornblower’s Respect early as a VIP and instantly received my first splash of color. With a smile, the greeter gently placed a warm, welcoming dash of color on my cheek. I smiled back. 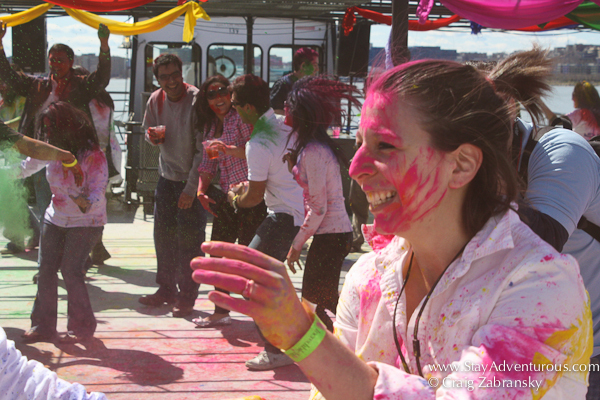 Eventually the boat filled with 500 people and it became a massive celebration of color. The event also included traditional dance, but sadly, I missed the performance because it occurred on the floor where “colorful” people were no longer allowed to walk through. I imagine the cleanup on board was a challenge when it was all over. 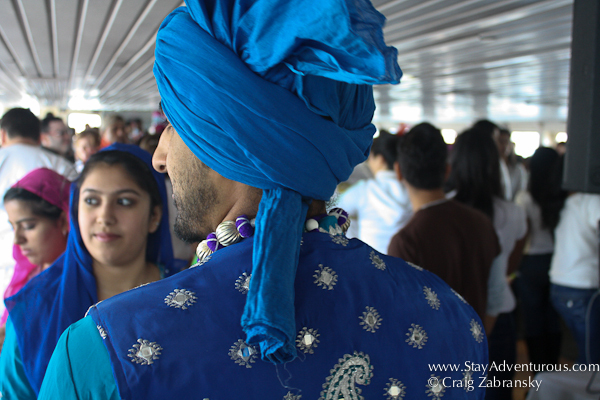 The colors were celebrated on the upper deck which remained empty until, “Holi” began. At 1:30 (we left dockside at 12:30) it opened up and the colorful powders were tossed on friends and strangers. I started to take a few images with my camera which I taped up in defense against the powder, until a few ladies noticed I was still clean or not yet “awake” with color. They came over to rectify the situation and did a great job changing my look. A handful of orange powder suddenly covered me. My DSLR went away and I decided to celebrate; I decided to be more in the moment. Experience educates, and when learning about distant cultures, attending a festival is one of the best ways to learn and begin to appreciate the destination, its history, its people, its beliefs, and of course its food. You don’t need to always travel physically far to do it. No. Sometimes you can attend local events that help your mind and imagination travel far. 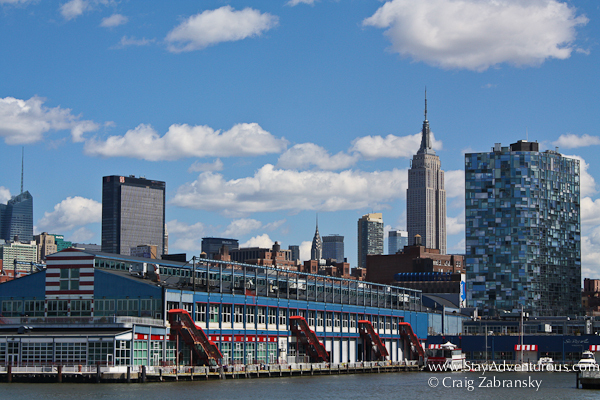 I traveled far this spring and all I did was leave the dock for the Hudson River. 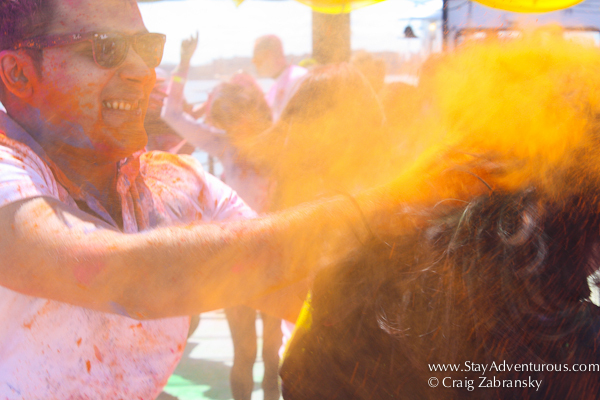 A special thanks to InGroup Events for the invite and the opportunity to attend the 6th annual “Rang Barse” Holi festival on the water in New York City. Early bird tickets went for $65 USD and included the three hour cruise around the Manhattan skyline, the DJ, the Holi powders, special dance performances, lunch and a cash bar. If interested definitely set a reminder to check out the site next February (Holi 2014 is ~March 17-18) or sign up for my newsletter as I’ll be mentioning it again when tickets go on sale next winter. When you attend your first Holi – wear white. White really allows the colors to show, next time I’ll know better. This post is part of the Adventure Mindset Special Series. How much fun! I definitely want to experience this in India one year.